From the coworker who is constantly getting “dings” on their phone to our culture’s obsession with social media, there’s good reason for the growing concern regarding the way we engage with digital tools to communicate in the workplace. In fact, much of the technology designed to make us more productive in the professional world can actually do the exact opposite. For starters, instantaneous communication can make it challenging for employees to concentrate on one task at a time, especially if they are frequently being interrupted by an endless flow of texts, emails, and phone calls. In addition, while digital communication tools can help us increase productivity and boost efficiency at work, our escalating and intense relationship with this technology can send us down the road to bad habits — especially if this technology starts to replace human interaction. In 2016, Randstad asked employees around the globe whether technology helps or hinders their ability to relate to and build relationships with colleagues. More than half of the respondents said they feel technology “makes them feel less connected to people in the real world,” and 89 percent said face-to-face meetings were the best way to interact with others at work. As an author, communication expert, and international speaker, I firmly believe our reliance on technology at work can be a hindrance to effective communication, especially if it ends up as a complete substitute for face-to-face interaction. Smartphones, tablets, and computers have all contributed to a reduction in the number of face-to-face interactions we have with our coworkers, managers, and clients. It is much easier to send a quick text or email than it is to actually take the time and effort to talk to someone in person for even a few minutes. While this approach is clearly advantageous with regard to efficiency, there is value to the face-to-face dialogue that seems to be turning into a lost art. We tend to build better relationships with each other, and our customers, via direct, in-person interactions. If we want our work environments to promote creativity, collaboration, and effective communication, we must approach digital workplace policies with a top-down strategy. After all, management sets the tone for what is — and what is not — acceptable. Today’s business leaders must create cultures of transparency regarding how and when mobile devices can be used in the office. They must help employees understand that while digital communication tends to be more efficient, face-to-face interaction is still the most powerful way to achieve business goals. Being in the presence of other people allows us to hear what they are really saying. We can read and assess their body language, nonverbal cues, and emotional state, and we formulate appropriate responses. With face-to-face communication, we can also minimize misunderstandings and provide more opportunities for clarification. 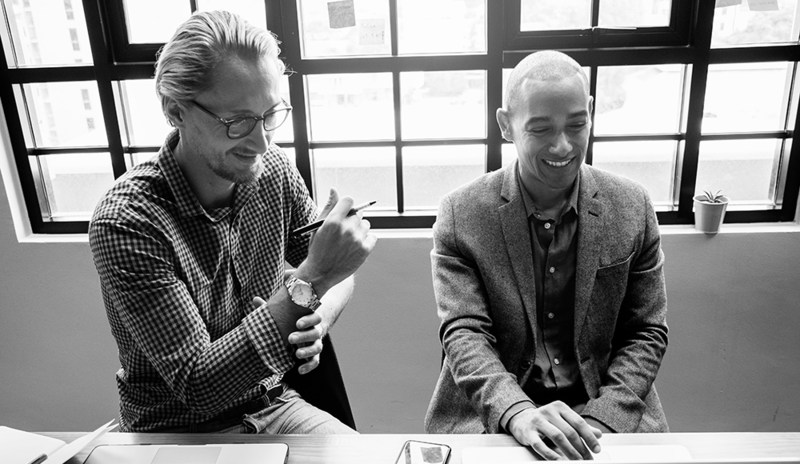 Furthermore, communicating with colleagues and clients in person allows us to exhibit more genuine reactions and use our own body language as a cue for others. It also helps develop more trusting and meaningful connections. It is important to understand that even the best technology and digital communication tools are only as effective as the people using them. At the end of the day, communication still requires input from humans — and it always will if we want to do it successfully. Finding a healthy balance of how and when your employees utilize digital tools versus in-person communication ultimately depends on your ability as a manager to set clear boundaries and communicate expectations company-wide. The bottom line: The more transparent and engaged each employee is on a personal level, the easier it will be to promote a healthy mix of digital habits and face-to-face communication in the long run. Ulrich Kellerer is an inspirational business leader, international speaker, and mental health activist. Connect with him on LinkedIn, Twitter, and Facebook. Ulrich Kellerer is an inspirational business leader, international speaker, and mental health activist from Munich, Germany. For more than 20 years, Kellerer worked in the European fashion industry as the founder and CEO of the German clothing line Faro Fashion, which had the distribution rights for the brand CLOSED, the leading European fashion company for women's and men's sportswear, in Bavaria. Kellerer is the coauthor of "The Soul of Success" with Jack Canfield and the author of "One Moment Can Change Your Life: Extraordinary Stories About Ordinary People." Today, he dedicates his time to fighting the depression epidemic and promoting mental wellness in the workplace.